I spent almost all day today reconditioning a leather roller that has been stored for far too long. 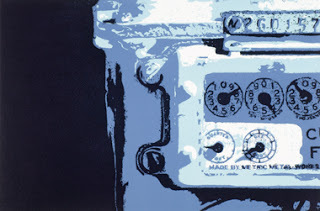 A little over a year ago, I purchased a litho press (for printing lithographs) from another artist here in the area. It came with this roller. As I am getting ready to initiate a new litho, I needed to make sure that the roller was ready. Now a little background is necessary here. Lithography is a touchy process. 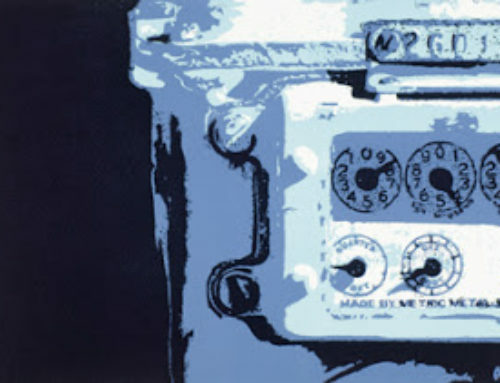 Relief and intaglio both use physical separation to define the image & non-image areas of the print. 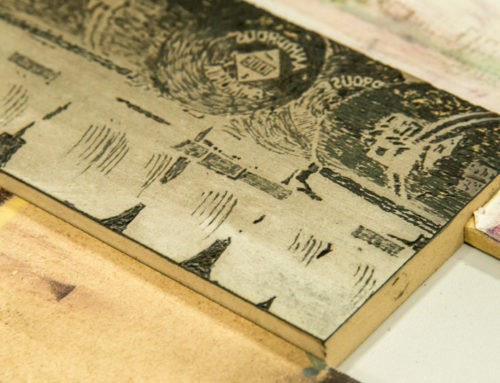 In relief, the raised part of the plate catches the ink and prints the image. In intaglio, the recessed part does. 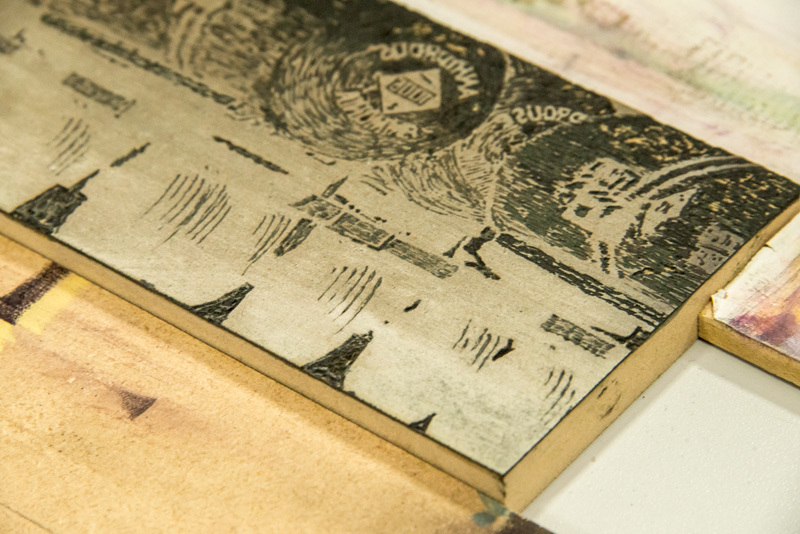 In lithography, it is all about chemistry- grease and water don’t mix easily. The image is greasy and attracts ink. The non-image areas are water loving and kept wet, which repels the ink. Easy, right? Except the operative term is “don’t mix easily“. They will mix, which leaves you with a mess. 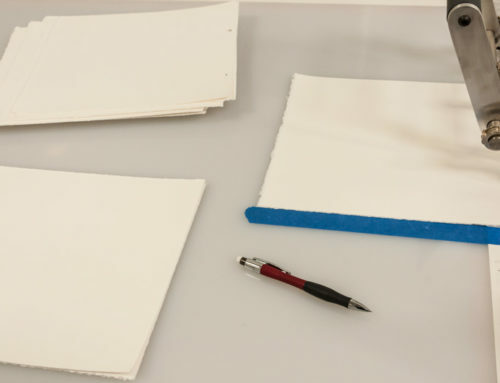 As part of the development of the image, you need a very sensitive roller and you may ink the plate and clean it out several times. Leather rollers are best for this. The kicker is that you never really clean them. 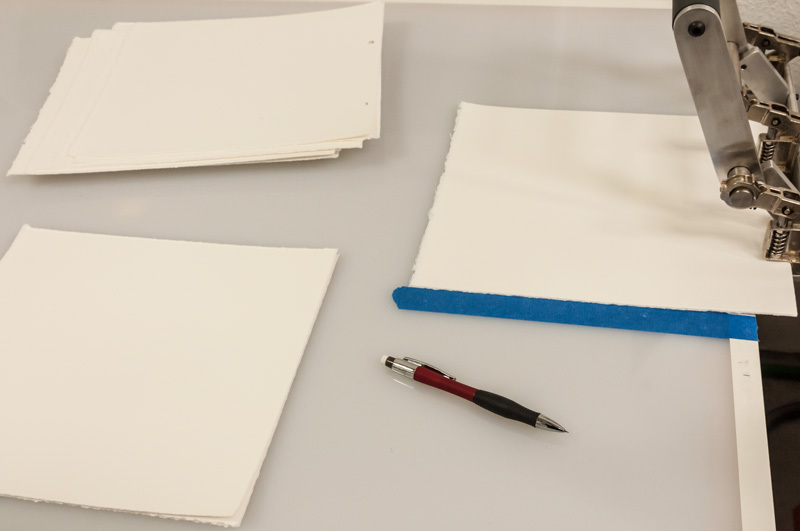 You just scrape the excess ink off and wrap them up tightly so they will not dry out for the next time. This roller had been sitting for several years. Now in fairness, it had been prepared properly. It was smeared with mutton tallow, wrapped in plastic and then in aluminum foil, all sealed carefully. However… The tallow had oxidized and dried considerably. When I unwrapped the roller I could see that the tallow had hardened. The plastic layers were stuck to it. I thought that this thing was a goner. I put it on a chock and started scraping away. The tallow was very thick and extremely sticky. Think about the honey that dribbles down the jar and cements it to the pantry shelf. About that consistency. Plus, as I got deeper, it was mixed with ink, so it was black and sticky. A very dirty job. 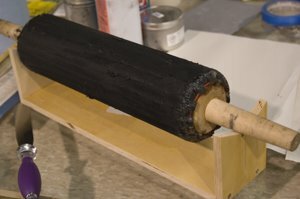 The photo here is of the roller after I had gotten the worst of the hard tallow off of the surface. Eventually I did get it pretty well cleaned up and could start reconditioning it. I put some #0 (light and thin) litho varnish on the ink slab and began to roll it out. The leather was so stiff it bumped across the slab. After rolling for a while I scraped it again, pulling off more goo and working the varnish into the leather. Then I cleaned off the slab and put out some ink. More rolling, more scraping. Repeated the process. By this time things were starting to soften up, so I scraped it down well and wrapped it up in plastic. I will ink and scrape it again tomorrow. Hopefully by early next week it will be ready to go. It’s a tough life, but somebody has to do it.